for $6,995,000 with 4 bedrooms and 4 full baths, 1 half bath. This condo was built in 2016. Actually move right into this grandly proportioned 4 bedroom, 4.5 bathroom residence at 20 East End Avenue. Residence 3D is a magnificent triple mint 2, 995 sq. 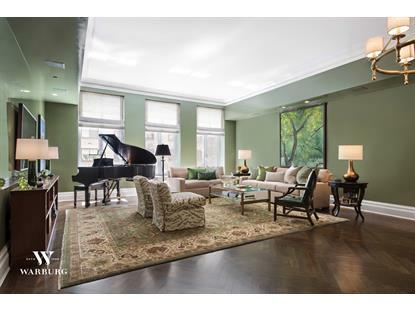 ft. home that has just undergone a meticulous upgrade from the original developer finishes. 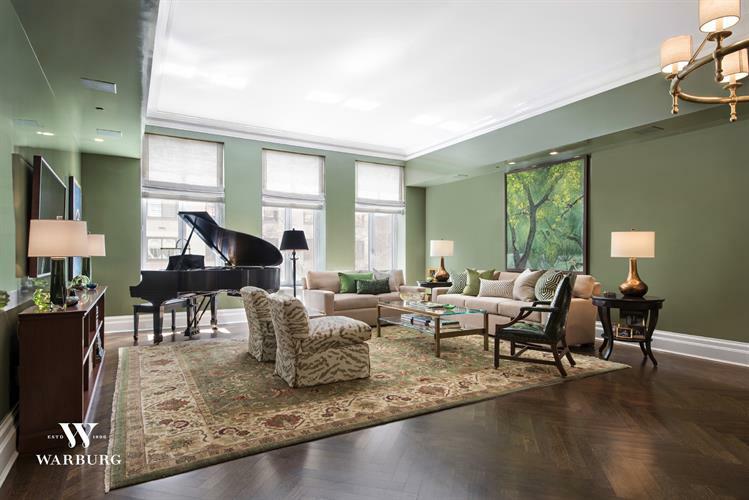 Expertly designed by Robert A.M. Stern, this special apartment boasts a thoughtful layout that blends old-world elegance with everyday living. Enter the luxurious home from an entrance foyer that leads into a gracious gallery, both ideal for showcasing art. The 20' x 27' formal living / dining room has three oversized casement windows and is large enough to accommodate a gracious seating area, baby grand piano, and a table that comfortably seats 8. The eat-in chef's kitchen is open to the living room and is equipped with custom shaker inspired millwork cabinetry, Brazilian granite countertops, Gaggenau appliances and a custom cerused oak island. Adjacent to the kitchen is a fully outfitted step-in laundry closet with an abundance of space for drying as well as additional storage. The bedrooms are separate from the formal entertaining spaces; each with its own vestibule and en-suite bathroom. The gracious Master Bedroom features an oversized window overlooking the building's beautiful porte-cochere entrance, two large walk-in closets and a hotel quality Master Bathroom. The Master Bathroom is fully clad in hand selected Caldia Classico marble and has a custom designed milk glass double vanity encased in a polished nickel frame, a cast iron Lefroy Brooks soaking tub, a separate shower and water closet as well as radiant heated floors. The additional 3 bedrooms, all equally proportioned in size, also have ample closet space and custom crown molding. The apartment has been wired for electric window shades (in every room), wireless televisions as well as a state-of-the-art sound system. Appalachian oak herringbone floors with a walnut stain, 11' ceilings, a powder room, and custom closets throughout complete this spectacular home. Completed in 2017, 20 East End Avenue is a pet friendly condominium with a 24-hour concierge and full-time resident manager. The building boasts an intimate, gated motor court with trellis garden pavilion, a luxuriously detailed octagonal lobby with a grand architectural staircase connecting residents to three floors of amenities including a graciously-appointed library with a book collection curated by Robert A.M. Stern, billiards room, game room, wine cellar with private dining room, fitness center and spa, children's playroom, and bicycle storage. Situated at the corner of 80th Street and East End Avenue, this convenient location is moments from some of the city's best schools (both private and public) and is easily accessible to the FDR Drive, NYC airports, Asphalt Green, the East River Promenade and major transportation.